The Harris Center for Conservation Education and New Hampshire Audubon will host a Spring Beginner Bird Banding course in Hancock, NH from April 22 – 28, 2019. The beginner course is intended for birders and wildlife biologists to obtain bird handling skills and will be taught by Dr. Patricia Wohner. Patricia has been banding birds on research projects and MAPS stations for over 19 years and will teach necessary skills for monitoring and research programs involving bird banding. The specific skills taught will include: safe operation of mist nets, methods of extraction of birds from mist nets, bird-handling skills, a primer on in-hand ageing and sexing techniques, and data scoring and recording using MAPS protocol and forms. Target netting skills may also be taught depending on interest. The course will be taught at the beginning of spring migration in young and mature forest at the beautiful Harris Center for Conservation Education in Hancock, NH. 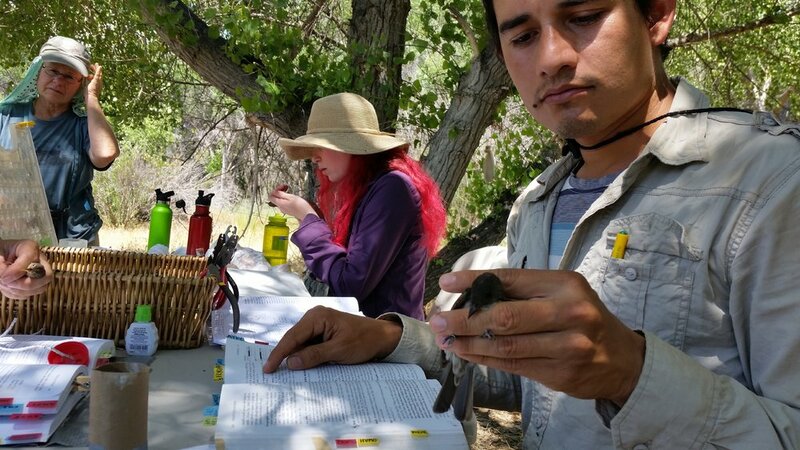 Each student will handle many different passerines and near-passerines including Warblers, Sparrows, Woodpeckers, Thrushes, and others. Each day will consist of a morning practical mist netting and banding birds, and an afternoon class session at the Harris Center. Cost of the course including lunch is $975/ person. A $150 non-refundable down payment is required to hold a spot in the class. Classes fill quickly, so be sure to register early! The Beginner Bird Banding Course is limited to 7 participants!